Soulcalibur 6 Release Date, Story Trailer | Nerd Much? As details from E3 continue to flood in from the various developers and publishers, Bandai Namco has dropped some major news of their own. 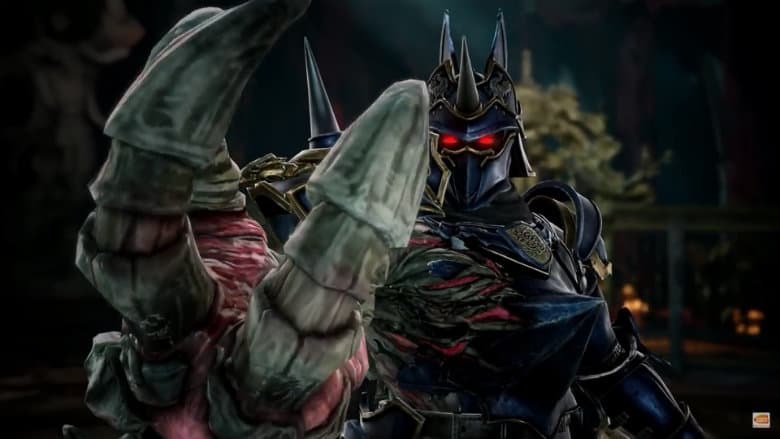 The company has confirmed that Soulcalibur 6 will finally hit shelves in October and they released a brand new trailer teasing the upcoming fighter’s story. Thus far the publisher has confirmed 13 fighters for the game, with more surely coming. To date, we’ve seen appearances from the aforementioned Geralt of Rivia and GrØh, as well as Ivy, Kilik, Maxi, Mitsurugi, Nightmare, Siegfried, Sophitia, Taki, Xianghua, Yoshimitsu and Zasalamel. Bandai Namco also released details regarding the upcoming Soulcalibur 6 special editions which are forthcoming. A Collector’s Edition of the game is headed our way that contains a 12” Sophitia figure, a 120 page art book, a metal case with a built in soundbox, the game’s soundtrack on CD, a Collector’s Edition box, and a copy of the Soulcalibur 6 game itself. The Deluxe Edition of Soulcalibur 6 includes the metal case with built in soundbox, the soundtrack CD, a Soulcalibur 6 Season Pass, and a copy of the game. Perhaps the biggest news, after months of teases and character reveals, is the date that we’ll finally get our hands on the fighter. Soulcalibur 6 is headed to PC, PlayStation 4 and Xbox One on October 19th.